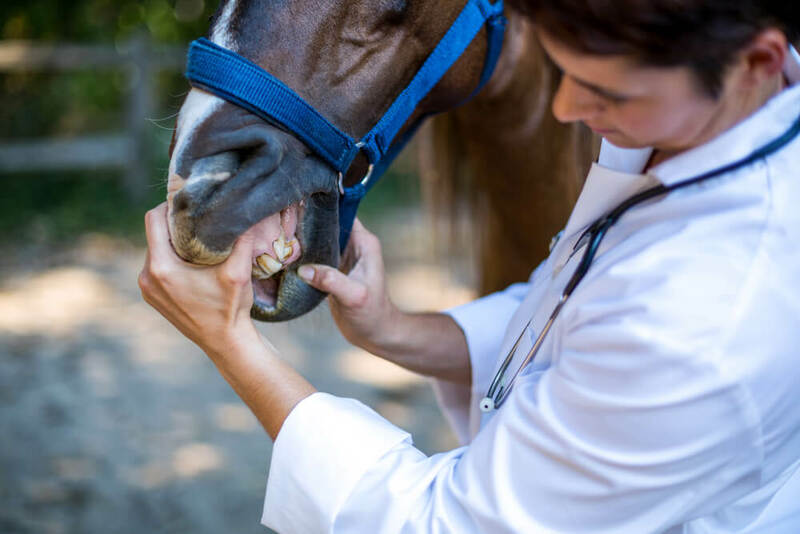 You may be surprised to learn that horses really need regular dental checkups. This is especially true as your horse grows older. As the years pass, the angle and shape of a horse’s teeth change. This can cause a lot of problems if left untreated. Luckily, regular dental care along with special attention to the signs and symptoms of impending dental problems can save you a lot of trouble and money. In this article we discuss the symptoms you and your vet should look for when you examine your horse’s teeth. Read on to learn more about horse dental care. 1 How Can You Tell Your Horse’s Teeth Need Attention? 2 Do You Check Your Horse’s Teeth Regularly? 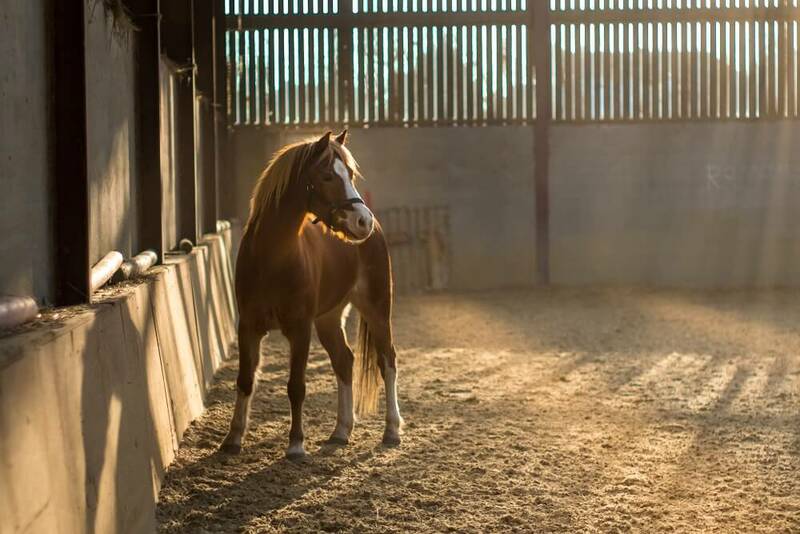 3 Do You Need An Equine Vet Or An Equine Dentist? How Can You Tell Your Horse’s Teeth Need Attention? Your horse’s eating habits and condition will clue you in as to whether your horse is in need of some dental work. 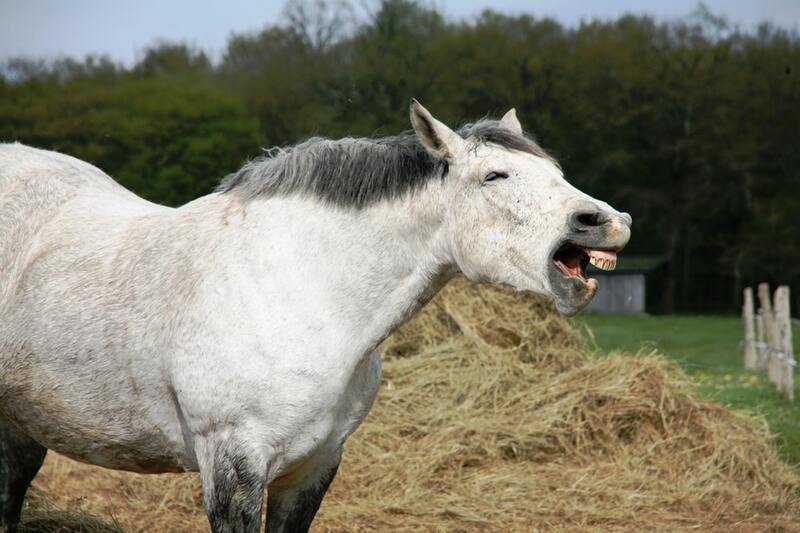 If your horse wastes grain, can’t chew hay or is losing weight inexplicably you should suspect dental problems. 1. When you perform a cursory exam or try to bit your horse, you may notice food pocketed between the teeth. 2. You may notice swelling, enlargements or bumps on the side of your horse’s face or on his jaw. 3. You may notice sharp points on the front molars (upper and lower) when bitting your horse. 4. Sharp and/or crooked teeth may lacerate your horse’s tongue and/or inner cheeks. 5. Your horse’s manure may contain hay that seems not to have been chewed. 6. You may notice a chronic, bad smelling nasal discharge (usually on one side). 7. Watch closely, you may see that your horse is only chewing on one side. 8. Your horse may begin to drool, or worse, bleed from the mouth. 9. He may shake his head while being ridden, driven or exercised. 10. The lower jaw may move in an odd and irregular manner. 11. Partially chewed food may fall from your horse’s mouth. 12. It may take a long time for your horse to chew his food. 13. Eating and drinking may cause loud, slurping sounds. 14. Your horse’s lips may become swollen and distorted. 15. Your horse may carry his head oddly all the time. 16. Your horse’s eating and drinking habits may change. 17. He may become head shy and try to avoid the bit. 18. You may notice that your horse has bad breath. 19. He may hold his head oddly while eating. 20. Cheeks may swell like a hamster’s cheeks. 21. Your horse may carry his tongue oddly. 22. Teeth may become loose or even fall out. 23. Meal time may take much longer. 24. Your horse may avoid eating hay. 25. He may lose his appetite. 26. He may resist the bit. Any one or combination of these problems can mean dental trouble; however, it is important to understand that absence of these problems does not necessarily mean that all is well. Regular exams are necessary to ensure equine dental health. Do You Check Your Horse’s Teeth Regularly? Most horse owners don’t realize that horses’ teeth should be checked periodically. Your vet or equine dentist should provide a thorough exam at least once a year. In between times, you should have a cursory look just to check for wads of food, broken teeth or other obvious signs of trouble. 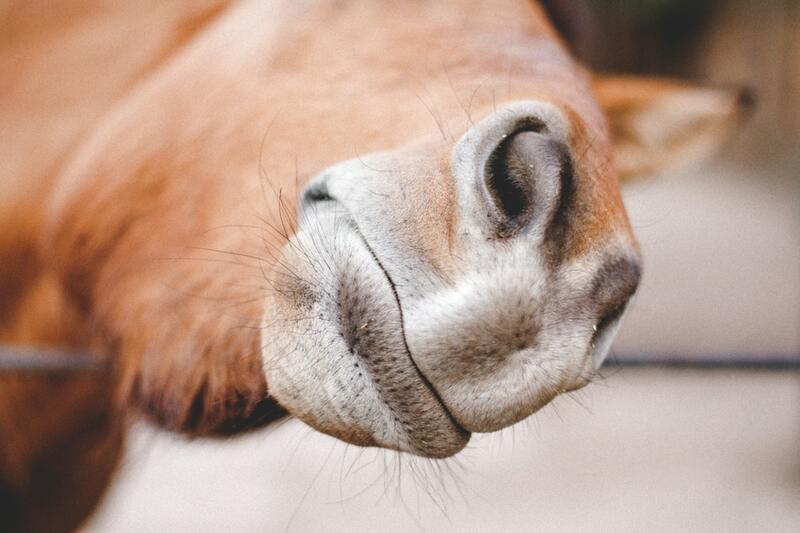 If your farrier also provides tooth floating services, it’s a good idea to have him or her check your horse’s teeth every couple of months when you have your horse’s hooves trimmed. Checking the teeth regularly keeps your horse accustomed to this attention. This makes full dental exams and dental work easier. It is also wise to maintain a schedule of regular exams with your vet or a qualified equine dentist throughout your horse’s life. Depending on your horse’s age, this professional will check for a number of different symptoms during the exam. Do You Need An Equine Vet Or An Equine Dentist? In some places only vets are allowed to perform dental procedures on horses. In others, you may be able to call on your farrier or on an equine dentist. The difference is that farriers who offer tooth floating services and equine dentists are not required to have any certification to perform these services. A vet, on the other hand, is a medical practitioner who actually has more training than a doctor for human beings. If you decide you want to use an equine dentist, do a lot of background checking before allowing him or her to access your horse’s mouth. Look for a dentist who belongs to the International Association of Equine Dentistry. Check his or her background. Ask for and verify references. If you decide to go with a veterinarian, look for one who has had specialized training in equine dentistry. Check his or her background and be sure to ask for and verify references. Understand that you are well within your rights to ask to ride along on a visit to watch the professional of your choice at work. You don’t want to come to the realization that you are uncomfortable right in the middle of a dental procedure. Just as with people, a horse’s health may rest on the quality of dental care he receives throughout his life. Chewing is the beginning of the digestive process, and good digestion is the foundation of good overall health. 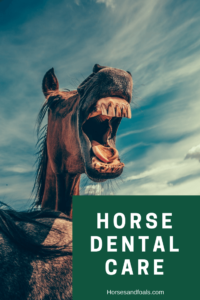 Even though it may seem costly to provide your horse with regular, professional dental care, in the long run a horse with a healthy mouth will save you money. Good lifelong dental care can help your horse.